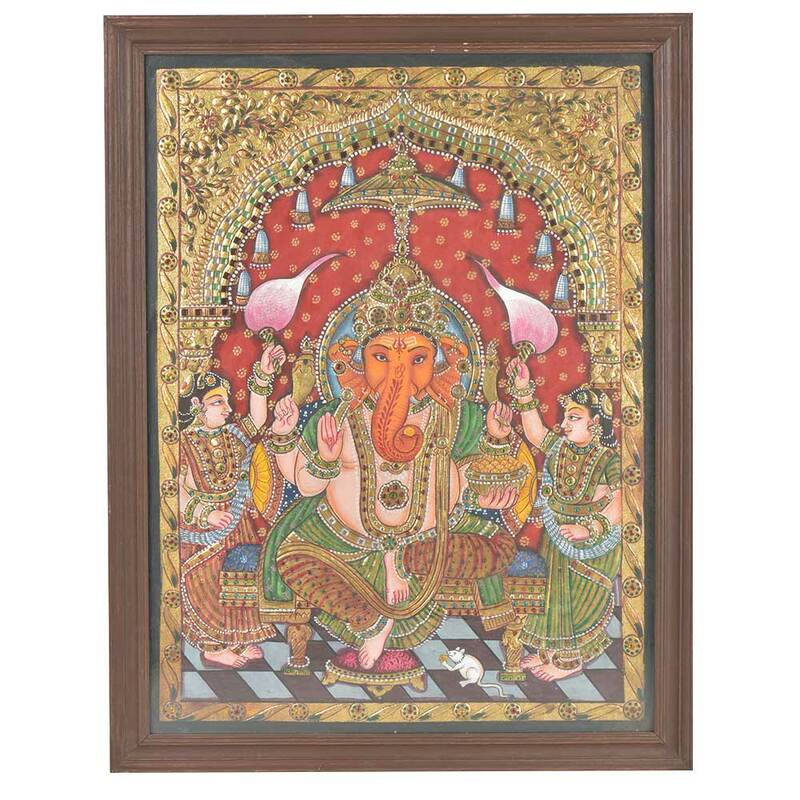 A beautiful traditional tanjore painting of Lord Ganesha seated on the side with his two wives Riddhi and Siddhi . This painting can be used for worship or for home décor. It is a lovely gifting for friends and relatives .